Diabetes is a silent killer. Many people, especially those living in rural areas, live with Type 2 diabetes that is diagnosed and untreated. 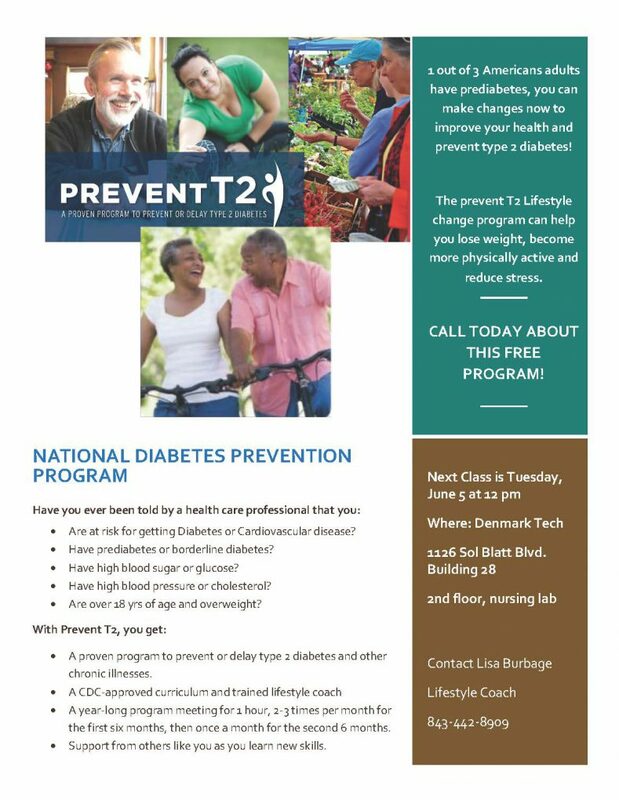 Please register and attend this FREE class at Denmark Technical College that teaches how to prevent or delay Type 2 Diabetes. Next Class is June 5, 2018 at 12:00pm.